Kamal ‘s Hosted Bigg Boss Tamil Season 1 was a huge hit and helped him to increase his fan base. At first, the only reason which makes me watch the show was “Kamal Hassan” and grand promotions by media especially Vijay TV in which the show was telecasted. Something we can’t deny was the concept of the show. This concept of a reality shows quite new for Tamil and South audience. This made me stick with Television and Hoststar sometimes during the nights 😉 Hope its same with all. Anyway, Makers are on their way to Host season 2 in a grand way. Here are the more details regarding Bigg Boss Tamil Season 2. Kamal Stepping in Politics raised rumors saying Surya/Aravind Swamy Might be the host. However, Kamal is going to Host season 2 and Promos Featuring Him Released as well. Season 2 was Started starring Oviya (Season 1 fame), A Kannada Actress being Guest in the house and explaining about the House. Oviya Had got a good fan base through her looks in season 1. Nominations are Actually Done By Bigg Boss and Mainly By Other Housemates. Sometimes Self Nomination is possible as well. Below are the Nominated candidates for this week. One can vote them using the following Voting methods to save them. The Voting Format Of Bigg Boss same as Season one. If you not clear about it let me summarize it. The makers of Bigg Boss Tamil will partner with the third party software company just to count the number of votes through online method. So there is no chance of faking the votes. Hope this makes you much clear about the reality of India’s Popular Show. Online Voting is more simple than All. The Nominated candidates are always displayed for the search results of “Bigg Boss Tamil vote“. Click on the favourite contestant to cast your 50 votes. One can cast their 50 votes to different nominated Housemates as well. Submit the votes and you are done. It’s an old-school voting method which we used long ago during Game shows. All the housemates are assigned a number.A Missed call to the particular Housemate can be cast as one vote. Here is much Clear Guide To Tamil voting. All the votes are counted by end of the weekend. Most probably by Friday night and will be sent to the makers which were announced by Host on the elimination Day. All the Contestants were Given A Unique code. The audience needs to SMS that particular Housemate code to the provided Number. One SMS Per Code is Considered as one vote. SMS Charges Might Apply for the message. More Messages from a Single Mobile Number cannot be taken into count. It is the less used voting process for Bigg Boss and we won’t recommend using it. Elimination is the Main Process of this reality show. Below are the Elimination Details of this week. Here are the week by week elimination details. It Completely Depends upon the Public Voting which was managed by a Third Party Company which actually calculates the votes. Whatever the show maybe? One gets interested in the performance. It suits this reality show as well.No one is going to watch you and me if we are being thrown into the house for some days or weeks. It’s no more a secret. we, The people get interested in the way of celebrities lives and so most of the contestants selected in Bigg Boss seasons are celebs which are from different Economic Backgrounds and all. If you start living with some other who are completely strange there is a lot of space for hate, Ego and so on. No need to list them, Right? This is what the actual thing of Bigg Boss which gains people curiosity. A number of strangers started living in a house with some rules and regulations. Is it Quite Interesting? Ok! Here is the List of contestants for Tamil Season 2. There is no official information regarding this, However, we managed to know through social media and some reputable websites on the new, By the way, According to game rules, housemates should not be revealed until the season’s first episode. Don’t be worried if you watching the show for the very first time. 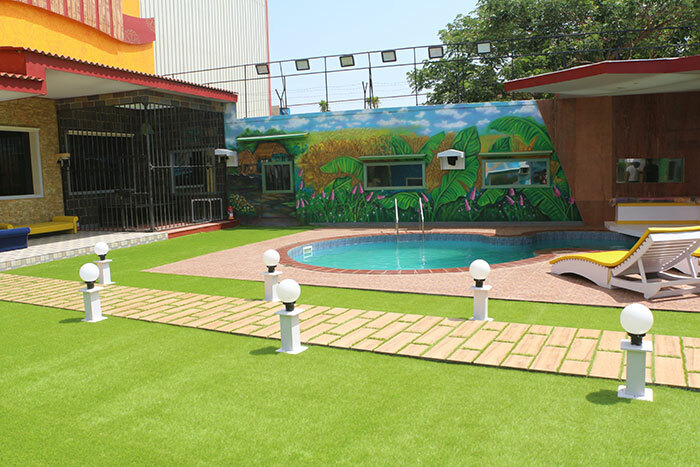 Tasks are nothing but games which are included in the reality show just to entertain Housemates and people as well. But listen here tasks are not meant for the entertainment as a lot can be done with tasks such as Captain Selection, Secret Gifts such as Winner can cancel their Nomination and Much More. The Type of competition and gameplay is completely decided by Bigg Boss and sometimes may be conducted by guests. Ok Things Apart, Here is the List of Tasks which are Included in the Season 2 Till Date. Ivar Yaar Endru Therigiradha: Close Enough to the Above Task. Contestants are Divided into two teams. One team will reveal a story and the other team should find its writer i.e the writer of the story. Sonnapadi Kelu: A bit Different and Simple task to end the week 1 of season 2. Housemates are Divided into 8 teams, 2 members each. Each Team was Given A Envelope and the team need to perform the task which was written in the Envelope. Intha Veetil Yaar Sirappaga Nirvaagam Seiya Koodiyavargal Aangala Pengala: Once a Single Luxury Budget Task for the Week. Housemates are divided into 2 teams based on their genders that is Male and Female. Here male will be acting as Owners and females as servants. Each owner is assigned with a Female Servant. Later Roles are completely reversed. Thanni La Kandam: 2 Teams are formed and Each team members have to stop the water which was flowing out of the tank that too with Head. Remember, with their heads. The team who save more will be announced as the winner. Thittam Pottu Thirudara Kootam: Surprisingly now members are divided into three teams. Police and Common People need to catch them with Evidences. Kanaa Kaanum Kaalangal is the task played which is all about school-related and was Played in week 6. Rani Maharani: One of the Housemate will be Given Full Powers and will be Like a Dictator.For now Members will Obey the Orders of Aishwarya. Note that, No contestant will officially reveal the remuneration details. This is just an estimation or taken from some news portals out there. Here are some images from the House. Bigg Boss Tamil Promos and Teasers. The Promo of the season 2 is revealed from Kamal’s Twitter Account featuring the new logo and that Dashing Music WIll be an Asset. InThis Promo Kamal Speak About the People, Like Where some didn’t Think at all Before Speaking and Some Think Twice before taking something . Same as Promo 3 ,Kamal Hassan Once Here Explains About the People In the Following way. Its Likey to hear some people Voice such as Music and Some other Voice is just somewhat Irritating. Yes, its apt for Bigg Boss Season 2 as well. Teaser 5 is all about the People who stuck between Saying Truth and Lies. Some Might Say Lies Just to Save Their Friends and Family and This completely Sync With Bigg Boss. Whereas Some only Say Lies. There are who can act before a camera and some people Even act for 24/7. This Explains that the Season 2 Contestants will create some heat in the House. Every Show needs a set of rules and regulations to succeed. Here are the Rules and Regulations for the housemates to survive in the house apart from elimination. Housemates should only speak in the Tamil Language. Guests of the house are pleased to speak in the Tamil language as well. No one should tamper or damage the household things of the house. One can be nominated directly by another (In task or in some other). He/She should obey the nomination, Otherwise, the housemate will be directly Eliminated. Everyone should play or do the tasks according to Bigg Boss. Votes cast before Friday 12 am Are considered. No one should carry Mobile and other communication devices. No one is allowed to leave the House. In case Of emergency, one can leave. Discussions between Bigg Boss and Housemate should not be discussed in the House. How are Bigg Boss Episodes Telecasted? There is a lot more than we think.It is not that easy as we think. There are many teams and all behind every episode. 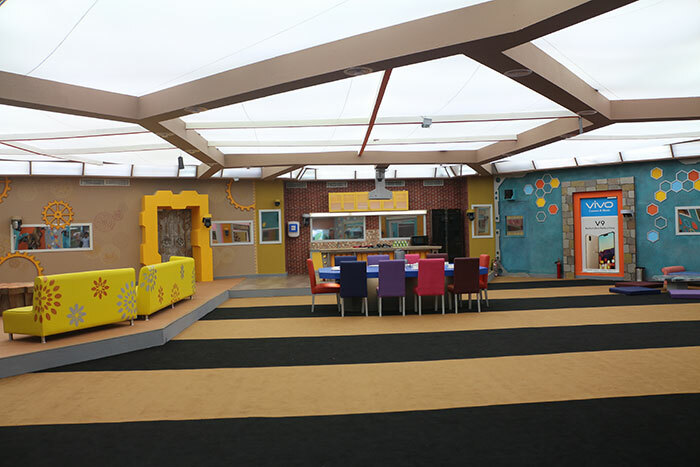 One can check the complete Bigg Boss Technology Here. Prize Money For this Bigg boss Tamil season winner? Can Common Man Participate in the Game Show? As for now, Common man is still not allowed to Bigg Boss Tamil Registration. In Future Common Person is surely allowed to participate in the show.You Heard it right! You can Participate but in future (Hope maybe season 4 or season 5). What is a Wildcard entry in Bigg Boss? 2-3 Contestants are selected during the selection process and those are not invited to the house During the welcome episode. They are sent to house as “Wild Card Entries” after 6-8 weeks. This process is just to add some more entertainment which helps to gear up the show. Although They joined after 7-8weeks of game, they are equally treated with all housemates. Where can I watch Bigg Boss Tamil Online? Unfortunately, Bigg Boss Tamil is not telecasted online for now.You can only watch it on television and on some TV Applications such as Jio TV which supports Vijay Channel. One can watch the Episodes On Hotstar. How are House Captains Selected? Housemates elect a housemate as a captain who for every week who need to have a look at all the things for that week. Different Tasks are conducted for a captain. However, Bigg Boss appoints the captain of the house and it depends upon many factors. A captain had some Privileges such as he/she had his own bed and washroom. A captain cannot be nominated for the eliminations by Housemates. He only gets evicted if he breaks the rules of this reality Game Show. How can one vote and what are Bigg Boss Public Polls? I came Across many polls which are similar to our Poll. Do remember, these are just public polls and are not considered During Elimination.Votes with Online Voting and Missed call are only taken to count.